In an earlier post – The mobile or cell phone appears normal, but… I mentioned the subject of mobile or cell phones that could be used for spying on their owners. In a similar vein many people have not heard about another category of illegal electronic device called GSM blockers or jammers. Although there are actually are times when it can be quite entertaining to listen into other people’s phone calls, most experiences can be really annoying. One humorous example of the former is a recent case is mention by Peter Cochrane on Silicon.com where he listened into the conversation from a guy who had visited one those ranches in Texas where the main activities are not concerned with rodeo riding… Peter has a great web site for those interested in a contrarian view of the technology and telecommunications world – in the late 1990s, Peter used to be BT’s Chief Technologist. In The Jerk with the Cell Phone discover the smartest – and funniest – ways to deal with cell phone jerks without becoming a jerk yourself. Included are the world’s most unbelievable but true cell phone horror stories, revenge testimonials, and cartoons highlighting just how brainless we’ve all become about the technology we all love to hate but can’t live without. 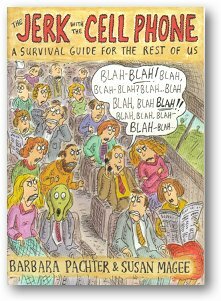 The above book talks about personal intervention when someone starts talking loudly of a phone in an inappropriate place and I have certainly done this on several occasions on a train. However, there are electronic solutions to the problem although I would certainly not condone their use as their use as they are illegal in the United Kingdom as in many other counties. I’m talking about GSM phone blockers or jammers. We sell all types of cell phone jammers to suit all needs. From the small handheld personal mini jammers to the mega power Y2000 model. Whatever your requirement is, we have a unit to deal with your problem. 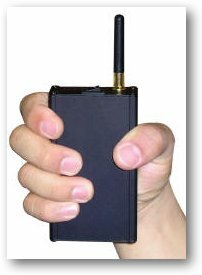 Whether it is to restore some peace and quiet or to stop the unauthorised use of the mobile phones in restricted areas including anti terrorism measures, then we have a cell phone jammer to provide the solution. Please note that we do not sell jammers to UK customers due to Ofcom regulations. Also, we do not sell jammers to any end users in EU countries due to lack of CE approval of the jammer products. One model covers 800/900/1800/1900/3G networks. 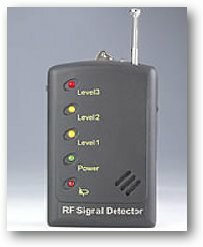 Another interesting and more legitimate gadget is the cell phone detector. The dark side of mobile or cell phone usage is an interesting area to delve into occasionally! This entry was posted on Friday, March 2nd, 2007 at 11:11 am and is filed under All, Living in the 21stc, Mobile. You can follow any responses to this entry through the RSS 2.0 feed. You can leave a response, or trackback from your own site.